Hey everyone! 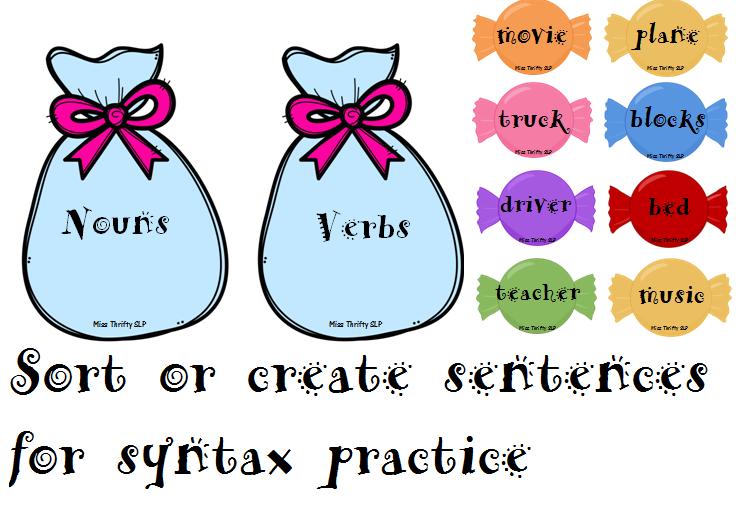 It's Miss Thrifty SLP with a sweet new syntax activity that your students are sure to love. After all, who can resist candy? I know that I certainly can't. 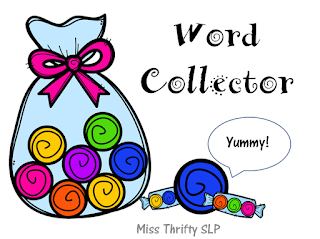 Word Collector is designed to be used in several ways to target syntax goals. 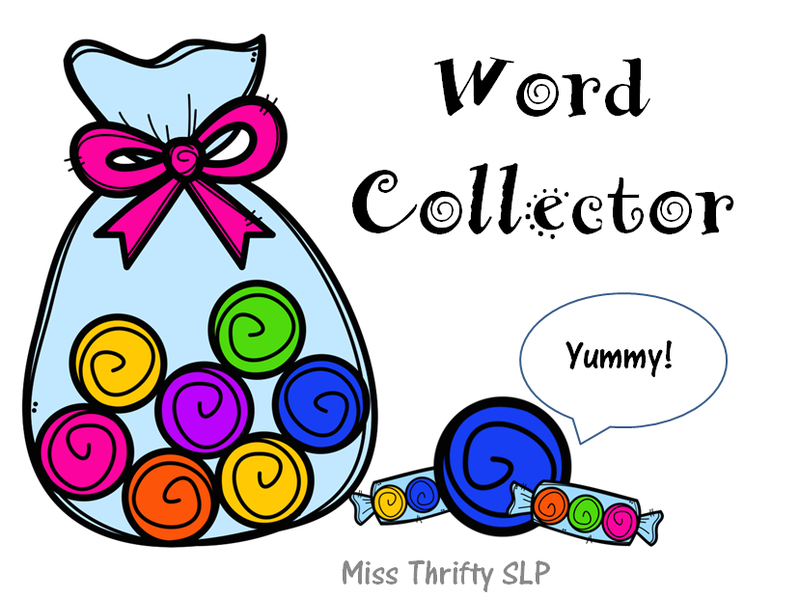 At the beginning of the new school year, it makes a really fun parts of speech sorting game. 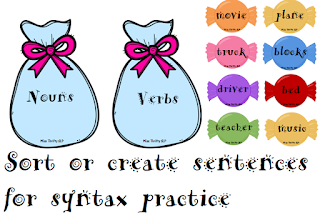 You can reuse it later to practice sentence formulation. If you want to learn more about this activity and grab your free copy, head on over to my blog by clicking on the picture below. Freebie Back to School Attendance Calendar!